COOPERSTOWN, NY (KTRK) -- Houston, we have a Hall of Famer. Craig Biggio, who played his entire 20-year Major League career with the Astros, learned on Tuesday that he was part of the National Baseball Hall of Fame class of 2015. Joining him this year are pitchers Randy Johnson, John Smoltz and Pedro Martinez. It was the third time Biggio was on the ballot. Last year, he missed by a mere two votes. That made for a nervous morning for the iconic Astro. "It was about 4:30 in the morning that I woke up. I was sick as a dog, nervous as heck and then all the sudden, I went back to bed at 7, then got up, did a little weight-lifting, ran," he said. "I couldn't settle down. I was too antsy, nervous and excited. Took a walk for a couple hours, then came back, threw BP to the boys. I got a call at noontime that will forever change my life and my family's life, but it was overwhelming and emotional. I don't remember talking to the people on the phone, other than I started crying." 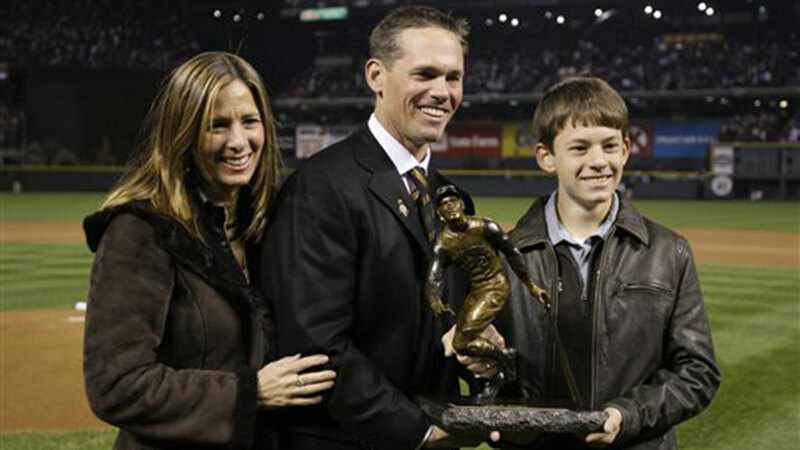 For his career, Biggio, a 7-time All-Star, has 3,060 hits, scored 1,844 runs, hit 291 home runs and knocked in 1,175. He's fifth all time in doubles. Biggio was part of the iconic Killer B's, the core of which was Biggio and Jeff Bagwell. "They were JJ Watt before JJ Watt," said MLB.com writer Brian McTaggart. "They ran this town. People came to Minute Maid Park. They wanted to see those two guys." Both were lifelong Astros. Bagwell may someday make the Hall of Fame. Also part of the squad was Lance Berkman, who is now retired and a student at Rice. They played together on that 2005 World Series team, along with Roger Clemens, who was on the ballot after beating perjury charges regarding performance enhancing drugs. There was also Andy Pettitte, now a coach at First Baptist, and Roy Oswalt, living in his native Mississippi. All of them were great players in their own rights. Biggio the first to go into the Hall. "If you watched him play, he hustled," said McTaggart. "He hustled down the line every time, whether it was spring training or the World Series. Every time, he played the game hard. He played the game the right way. 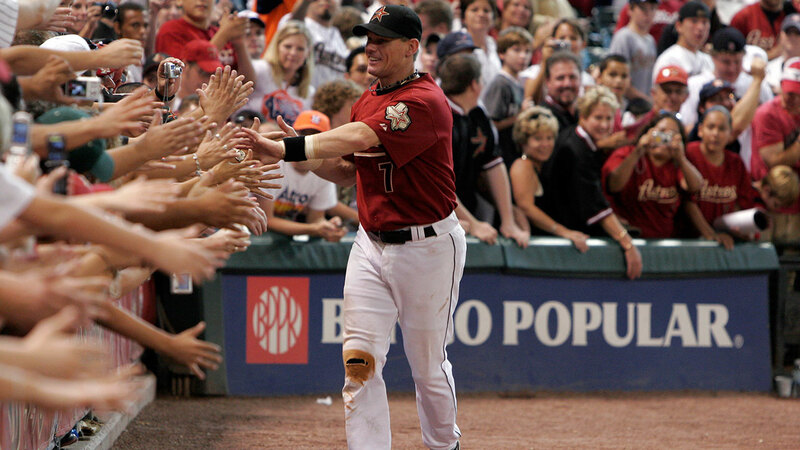 If there was ever a hall of famer it's Craig Biggio." Biggio, Johnson, Martinez and Smoltz will be inducted in Cooperstown on July 26. The Baseball Writers' Association of America had not given four players the necessary 75 percent in a single year since selecting Joe DiMaggio, Gabby Hartnett, Ted Lyons and Dazzy Vance 60 years earlier. Biggio got 82.7 percent this year. Bagwell received 55.7 percent. Clemens came in at 37.5 this year, which is higher than last year. Johnson, a five-time Cy Young Award winner with 303 victories and 4,875 strikeouts, was selected on 534 of 549 ballots by veteran members of the Baseball Writers' Association of America. His 97.3 percentage was the eighth-highest in the history of voting. Martinez, a three-time Cy Young winner, appeared on 500 ballots (91.1 percent). Martinez was 219-100, struck out 3,154, led the major leagues in ERA five times and in 2004 helped the Boston Red Sox to their first World Series title in 86 years. Smoltz was picked on 455 ballots (82.9 percent) and will join former Atlanta teammates Greg Maddux and Tom Glavine, who were inducted last summer along with Chicago White Sox slugger Frank Thomas. Smoltz, the 1996 NL Cy Young winner, was 213-155 with 154 saves, the only pitcher with 200 wins and 150 saves. He went 15-4 in the postseason.